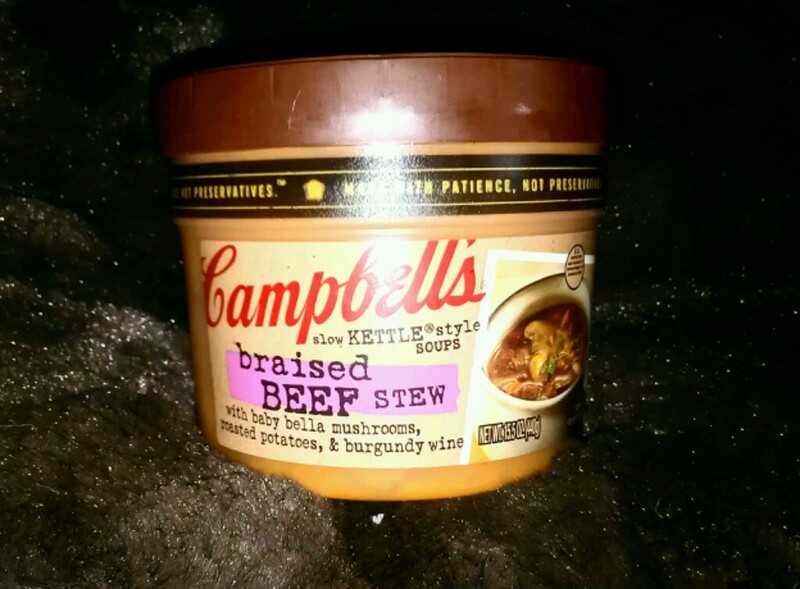 Nothing tastes better on a cold, rainy day or night that a delicious bowl of hot soup! It's the perfect way to have a satisfying meal that warms you up and makes you slow down and savor the moment. Campbell's Slow Kettle Style soups are delicious, satisfying and packed full of flavor in every spoonful! They are available in 7 mouth watering varieties that are sure to please and delight everyone in your family. I received the Braised Beef Stew and Kickin Crab & Sweet Corn Chowder. Both of them were enough for a meal, and I loved the chunkiness of the soup. You could see and taste every delicious ingredient! Campbell’s Slow Kettle Style Soups are great as a snack or a meal and provide you with the satisfaction and fulfilling feeling just as a home cooked meal would. Stove: Heat gently over medium heat in saucepan, stirring occasionally. Microwave: Microwave ovens vary. Time is approximate. Uneven microwave heating may cause popping, movement of the container and/or splattering. Discard plastic cap; carefully remove and discard metal lid. Cover with microwavable plastic wrap. Microwave on HIGH 2 minutes. Let stand in microwave 1 minute. Carefully remove from microwave, grasping container on both sides with potholders. Stir before serving. 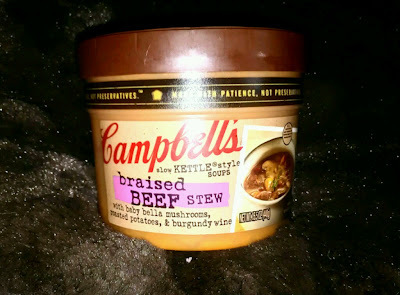 Disclaimer: I received complimentary Campbell’s Slow Kettle Style Soups from Smiley360 for the purpose of writing a review. Regardless, I only recommend products or services I use personally and/or believe will be a good fit for my readers. The views and opinions expressed on this blog are purely my own. Results may vary. No monetary compensation was received. For your opportunity to receive great products to sample, join Smiley360 today! I keep seeing this but never buying it. What's my problem? My favorite soup is probably potato soup! These sounds wonderful. I love soup and can't wait to try this line especially the Tomato Basil Bisque. Adding it to my list for the next time I'm out grocery shopping. I have two favorites: split pea and chicken tortilla. Yum! I'm a big fan of soup, though, so I'm looking forward to giving these new flavors a try! Mmm, I haven't heard of these yet, but I'd love to try them. This would be good for lunches for my husband, thanks! YUM! I need to try these!